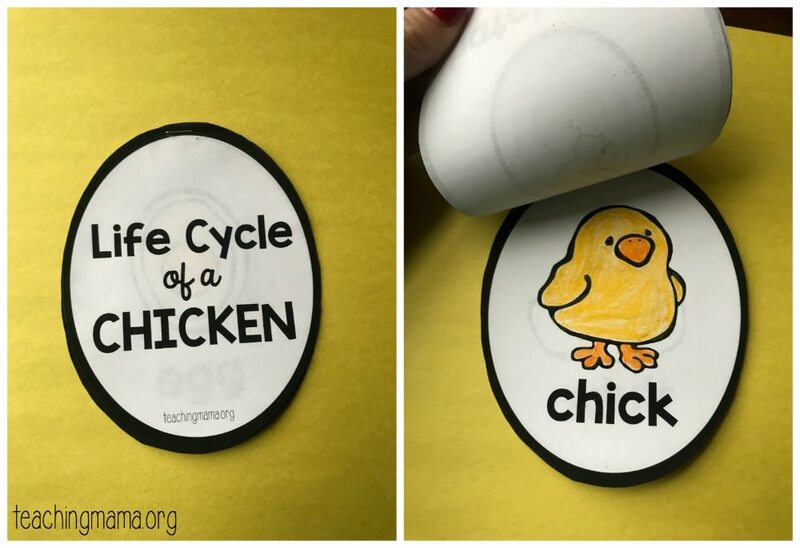 It’s spring, which means it’s the perfect time to learn about the life cycle of a chicken. 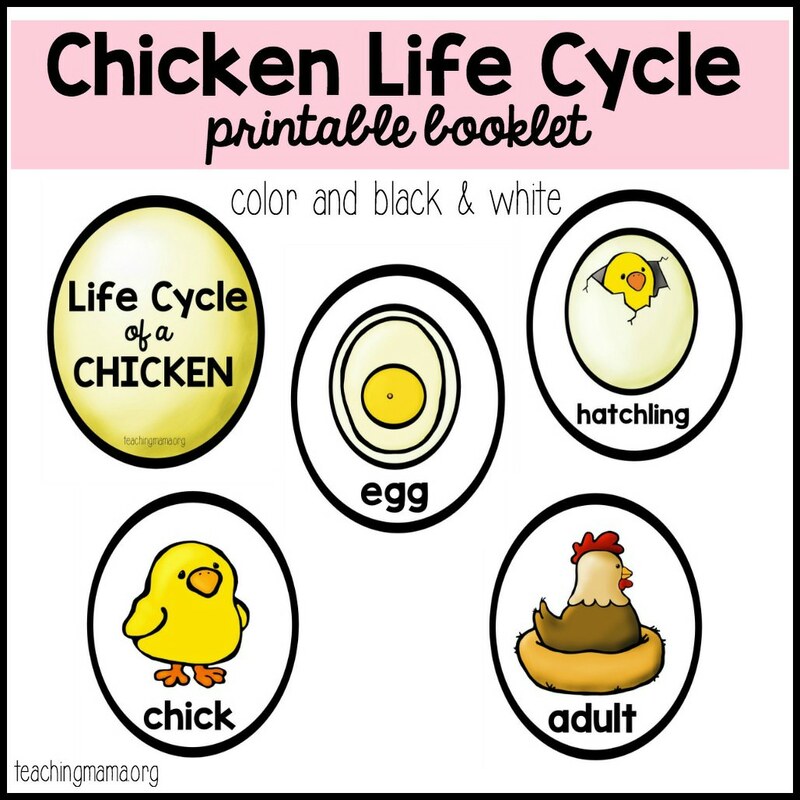 Today I’m sharing a free chicken life cycle printable that will help teach children the different stages of a chicken. 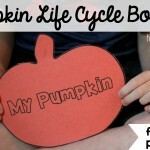 If you’re doing a farm theme with your preschoolers or are just teaching about different life cycles, you’ll find this printable helpful. 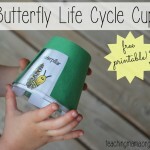 I made this a simple printable and is designed for preschoolers and kindergarteners. 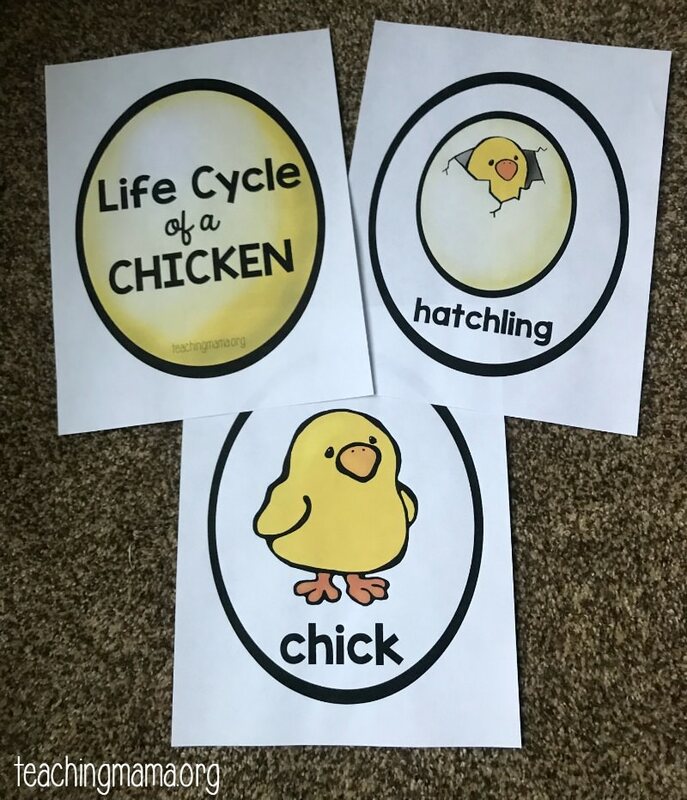 It shows four stages of the chicken: egg, hatchling, chick, and adult. 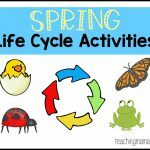 Make sure to share how that cycle repeats once the adult lays the egg. 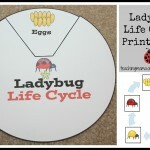 I created colorful posters to show your child and talk about the correct order of the life cycle. 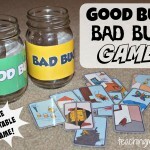 Then I also made black and white booklets for children to cut out, staple at the top, and then color. 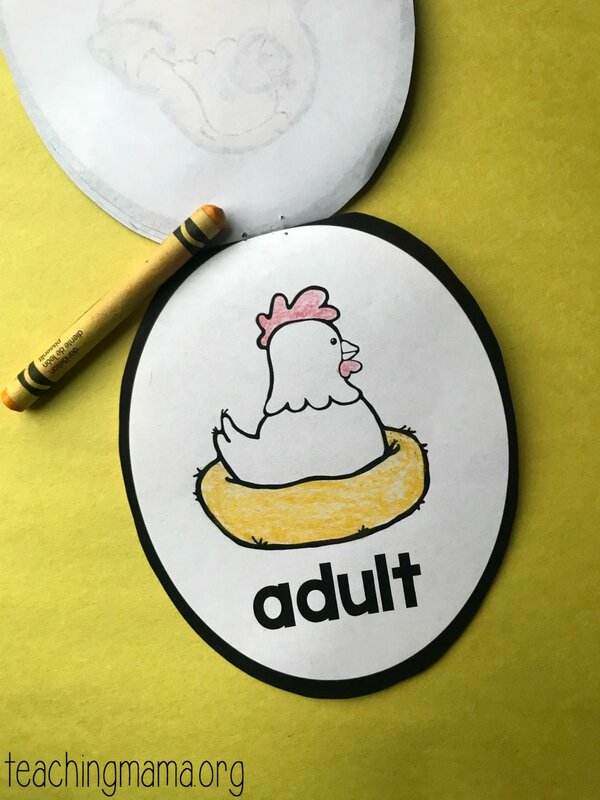 Learning about the life cycle of a chicken will help your child understand more about the world they live in! 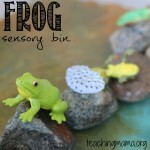 I’m sure your child will think this is pretty fascinating.